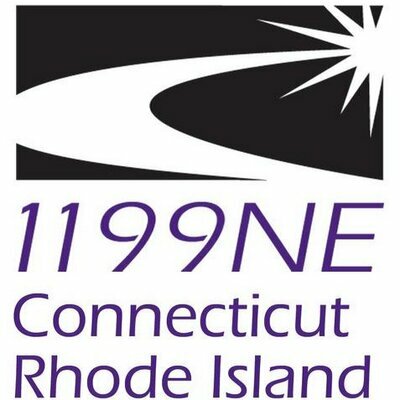 District 1199 SEIU is a bold, democratic Union with a long activist tradition. In his remarks at 1199's Salute to Freedom in 1968, Dr. Martin Luther King, Jr stated “Local 1199 represents the authentic conscience of the labor movement.” Over the past 25 years, we have used strategic campaigns and direct action to form unions, win significant victories for employees, and demand improvements for sick, elderly, and needy patients in nursing homes, state direct care and mental health facilities, hospitals, and other health care centers. In recent years, we've won a $15/hour standard for thousands of low-wage workers through militant direct-action campaigns, fought racism on the job, campaigned for progressive policy in the state legislature, and engaged in the community around a variety of social justice issues. The majority of our members and staff are women, people of color, and/or immigrants. A key guiding principle of our Union is to facilitate and stimulate the broadest possible rank and file participation in the formulation and execution of the program of the Union. Holding with these principles, 1199 organizers work to activate and develop a diverse body of leaders to use their collective power to demand respect and improve conditions in the workplace. In these challenging times, when so much wealth and power is concentrated in the hands of so few, we believe it is more important than ever to unite health care workers and the working class as a whole together with the broader political and social justice movement to achieve respect and dignity, economic and racial equality on the job and in our communities. Through house visits, leafleting and phone calls, identify health care workers who are interested in forming a Union. Meet with workers (one-on-one meetings, phone calls, house visits and small group meetings) to discuss benefits of a Union and expected opposition from management. Train and support workers to take action, organize a Union drive, and become leaders in the workplace. Plan and lead actions, rallies, events and strikes. Demonstrated leadership skills at work, on campus or in the community. Experience as a Union or community organizer preferred; experience working in health care is a plus. Ability to work with people from diverse backgrounds and cultures. Bilingual skills in Spanish, Creole/French or Portuguese is a plus. Ability to work independently, solve problems and manage time and priorities. People of color are encouraged to apply.